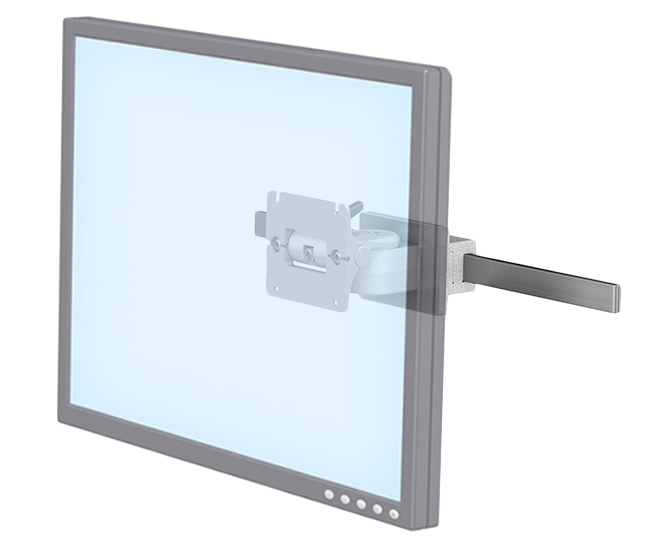 This Flush Mount is great for mounting a range of monitors and is ideal for applications with limited space. It mounts using to rail systems: 10 mm x 25-40 mm, and can mount any monitor using a VESA adapter. This medical mount provides tilt and swivel adjustments to ensure optimum viewing angle for varied height users. This medical mounting solution is perfect as it maximises limited workspace to enhance workflow. It is ideal for EPR on wards, PACS in theatres and in departments such as A&E.